Almonds – Try to reach for the natural, unsalted kind! Almonds are one of the healthiest tree nuts, coming chock full of Vitamin E, calcium, magnesium, and potassium! They are great for heart health (hello, internal anti-aging), have been linked to assisting in weight maintenance, and the nutrients found within them are great for your skin. 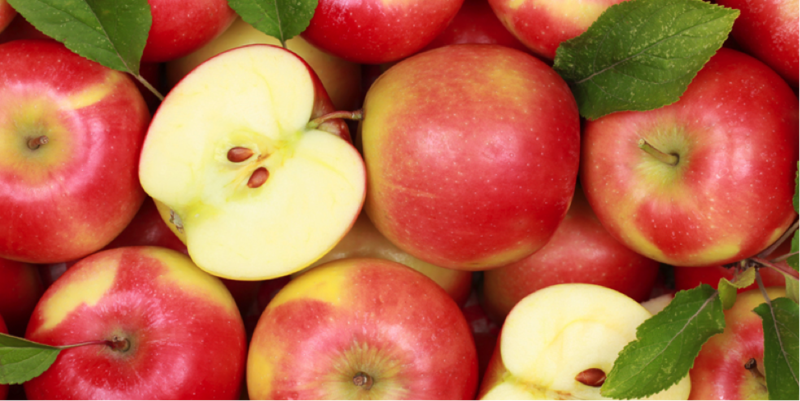 Apples – They say “an apple a day keeps the doctor away” for a reason! They are a great source of antioxidants and flavonoids (which help protect against free radical damage) and fiber, which helps to keep things moving and regular (yes, this is good for your general health, and your skin). Apples have also been linked to weight loss/maintenance (they can help curb your appetite) which naturally becomes more difficult as the years go by. Asian Pears – Low in calories and high in nutrients, Asian pears are another food you will want to keep in your anti-aging arsenal. They are rich in fiber, potassium, Vitamins C & K, and Copper, all of which are incredibly beneficial in nourishing your body and your skin. I like to eat my pears cut up over an arugula salad! Bonus points if you use olive oil and a light dash of balsamic vinegar as your dressing. Avocado – As a California native, it is only natural that I love myself some avocados. The creamy green fruit is so versatile, and so chock full of goodness. They are rich in Vitamins K, C, and B, which are known for being powerhouse anti-agers, as well as Folate, Potassium, and Vitamin E (this vitamin is incredibly nourishing). It is also a great source of healthy fats! Bananas – Bananas are basically a household staple. These bad boys are quick, convenient, filling, and conveniently come jam packed with fiber and nutrients. Bananas are a great source of Vitamin B6, Manganese, Copper, Vitamin C, and Potassium. Beets – Beets are known for their beautiful color, and their ability to make skin and hair simply “glow”. Beets can be consumed raw, cooked, or juiced, and have a very distinct “earthy” flavor. They are rich in potassium, magnesium, fiber, phosphorus, iron, Vitamins A, B, and C, and folic acid (they are basically a powerhouse food). Many people have noticed clearer skin when consuming beets, and have expressed an overall satisfaction with the way their hair and skin looks. 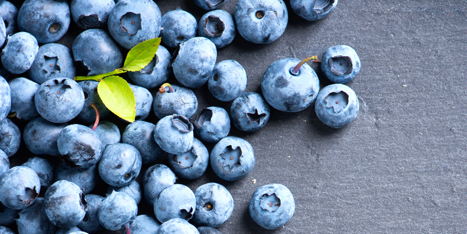 Blueberries – Super rich in antioxidants and absolutely delicious, these beautiful little berries come jam-packed with resveratrol, gallic acid, lutein, and more. They are great for combatting aging (hence: why you should load up before and after you turn 45), can help with combatting acne, and can even help to promote heart health! What I personally love about blueberries is you can eat them alone, or drizzled into your favorite oatmeal, salad, or anything really! Brazil Nuts – High in protein, selenium, magnesium, zinc, and amino acids, Brazil nuts are a great option for those seeking a little healthy snack. The zinc, specifically, is great for your hair and skin, and can assist with preventing acne, dermatitis, and other forms of skin irritation. Broccoli – An excellent ingredient (especially when it comes to nutrition), broccoli is low in calories, but high in skin/health boosting vitamins, minerals, and fiber. Specifically, it is a wonderful source of Vitamins K & C, as well as fiber, potassium, and folate. Brussels Sprouts – Brussels sprouts can be absolutely delicious if you know how to cook them right (note: there are many easy ways to make them taste amazing). They are rich in protein, Vitamin C, fiber, folate, and antioxidants. Meaning they are great for protecting against free radical damage! 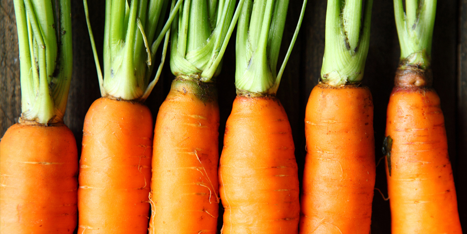 Carrots – Carrots are one of my favorite healthy snacks. They add a fun pop of color to my plate (especially when I find the white/purple/orange carrot variety packs) and allow me to get a healthy dose of antioxidants, minerals, and Vitamins A and C. Much like beets, carrots are known for helping you achieve “glowy” skin, and can even aid in collagen production (meaning they can help prevent wrinkles). Chia Seeds – Chia Seeds seem to have exploded in popularity in recent years. They are a great way to add omega-3s to your smoothies and drinks, and help you to feel full faster. Rich in Vitamin E (which helps combat wrinkles), omega-3s (which combat acne, wrinkles, and so much more), zinc (goodbye breakouts) and so much more, it is no wonder why chia seeds have become a health staple in many beauty-enthusiast’s homes! Chicken Breast – While I am a red meat and potatoes girl at heart, that doesn’t mean I don’t enjoy a good, old fashioned chicken breast! Incredibly easy to prepare, and simply delicious, chicken breast is a wonderful source of protein, phosphorus, selenium, Vitamin A, and Vitamin B. Vitamins A and B are particularly beneficial for assisting in skin health and anti-aging! 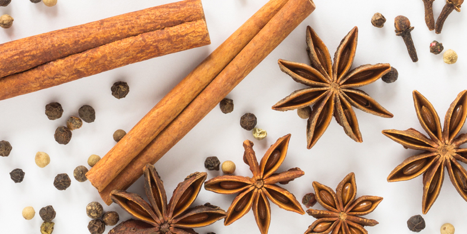 Cinnamon – This delectable seasoning actually offers up some medicinal properties, from its ability to help fight inflammation, to its ability to reduce the risk of heart disease, and more! Since supplements are not regulated by the FDA, I would recommend skipping the cinnamon supplements (I know, they seem so convenient) in favor of adding it to your cooking/baking routine. Coconut Oil – One of my favorite things about coconut oil is that it can double as both a cooking agent, and a skin care agent (do not try this with other ingredients unless instructed to do so by your skin care professional). As with anything, I am a firm believer in “you get what you pay for”, so don’t be afraid to spring for the $12 jar at your local whole foods! Coconut oil is fantastic for reducing inflammation, hydrating, boosting the immune system, and so much more! There is a reason why this ingredient is so incredibly popular, and it definitely deserves a spot on this list of 45! Coffee (In Moderation) – Coffee is one of those things that has a million pros and a million cons (and whether or not it is “good for you” seems to change each and every day). SO, coffee lovers rejoice, because I am giving it my personal thumbs up (consult your doctor if you have any concerns, as it does contain caffeine) for indulging in moderation for health benefits! Various studies have shown coffee to help lower the risk of several diseases, it is a good source of energy (pending you are not dependent on it for energy), it can help to make you feel happier, and can even lower the risk of some forms of cancer. Just remember that caffeine in excess can cause some less-than-savory reactions in your body, and can even be dangerous to those with heart-related disorders. Dark Chocolate – I LOVE DARK CHOCOLATE. It is on my list of favorite foods for beautiful skin, and is something I allow myself to indulge in regularly. Why? Because it tastes amazing, and has both internal and external health benefits! The golden rule to follow is to purchase chocolate that is at least 60% cacao, and try to find a bar that has as few additives as possible. Edamame – We are always hearing about how soy is bad for us (and yes, in excess, it definitely is not good). However, snacking on edamame is a great way to get the benefits of soy (fiber and estrogen) in healthy amounts. Sauté them up with some garlic and red chili flakes for a little flavor kick! Eggs – I know, I know, hear me out of this one! Of course, you have heard all the buzz about eggs being bad for your cholesterol. But the good news is, if you eat them in proper moderation, they are amazing for you! Those with heart related diseases should limit their intake to two eggs per week, but the rest of us can enjoy one egg a day (sans the guilt). Eggs are a great source of Vitamin A, Folate, Vitamins B5, B12, and B2, Calcium, Selenium, Zinc, and much more. You can even find eggs that are enriched with Omega-3’s to further enhance the health benefits! Figs – When I’m feeling really disciplined, and am in need of a sweet treat, I reach for figs. They are perfectly sweet (meaning I don’t need to eat too many of them to feel satisfied) and are a great source of fiber, vitamins, and minerals. They are especially great for curbing appetite (meaning they are great for your waistline). I also love how they pair perfectly with salad for a sweet/savory combo! Flaxseed – Much like Chia Seeds, these little seeds have gained some serious popularity over the recent years. They are a great source of micronutrients, fiber, magnesium, and ALA (a form of Omega-3), and can be added to a variety of different foods. Garlic – I absolutely adore garlic. It is a wonderful flavor booster, and has long been used for its medicinal properties. Garlic is a wonderful source of manganese, Vitamin B6, Vitamin C, and Selenium, meaning it can help to nourish you from the inside out, while adding some serious kick to your favorite dish! Ginger – Yet another powerful spice, ginger can help you look and feel better (seriously, it is great for combatting nausea). It is a natural anti-inflammatory, helps to lower blood sugar, and can even help to lower cholesterol levels. If you aren’t a fan of ginger in your food, try it in tea form, or coated in dark chocolate (YUM). Greek Yogurt (With Stipulations) – I am a huge fan of Greek Yoghurts, with one stipulation – you need to take a look at the nutritional label. Look for brands that do not go heavy on the sugar, as sugars can be harmful to your skin. Greek Yoghurt is a great source of calcium and probiotics, both of which affect your body and your skin in a positive way! 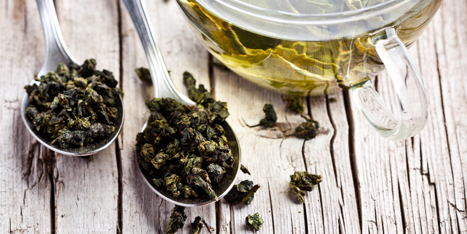 Green Tea – Rich in antioxidants and EGCG, this incredible drink can help to improve brain function and burn fat while lowering your risk factors for a variety of different health risks. Kale – Kale has definitely become a hot veggie recently. A wonderful source of iron, antioxidants, vitamin K, and fiber, Kale is a superfood that will help to detoxify your body while keeping you full. Lean Beef (Read: In Moderation) – I am a red meat girl! I grew up on meat and potatoes, but have learned through experience and education that eating red meats in moderation is the best way to get health benefits (there is such a thing as too much of a good thing, in this department). Lean beef is a great source of iron, zinc, and B-vitamins. Legumes – A great source of calcium, magnesium, and potassium, legumes are protein rich and fantastic for getting you full (minus all of the unhealthy sugar/fat). I am a huge fan of black beans (these work great for making a puree to dip your chips in) and garbanzo beans (fresh hummus, anyone?). 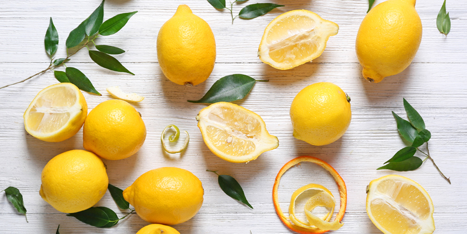 Lemon – Vitamin C. Need I say more? I like to add a generous squeeze of lemon to my water for a flavor kick, and weight loss aid! Mushrooms – Great for adding flavor to almost any dish, mushrooms are a wonderful source of selenium and vitamin D. They also happen to be low in calories, which make them a fantastic option for those looking to watch their weight. Oatmeal – Much like Greek Yogurt, it is important that you reach for formulas that keep it mellow in the sugar department (no added sugar is a bonus, you can sweeten with fruit and honey!). Olive Oil – I have seriously yet to meet anyone who doesn’t love olive oil. This mild, yet delicious oil is a wonderful source of healthy fats. It is known for its ability to reduce the risk of a variety of different health-related issues, such as type 2 diabetes and osteoporosis, and is good for both skin and heart health. 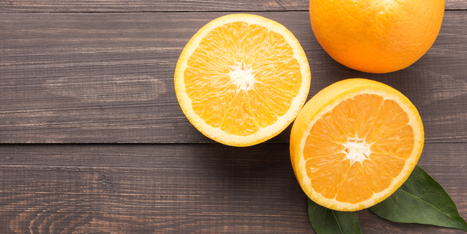 Oranges – Yet another Vitamin C powerhouse, oranges are also a great source of dietary fibers, B Vitamins, Vitamin A, Calcium, and much more! Bonus points for being super convenient for tossing into your bag for a mid-day snack! Papaya – Tropical and delicious, papayas are rich in enzymes that can help boost skin health and digestion. They are also high in fiber and water content, adding yet more benefits for your digestive tract. Just be careful not to over-do it! Enjoy it as a snack or as a component of your meal (not as an entire meal in itself). Pomegranate – My taste buds always rejoice when pomegranate season rolls around (though my clothes may beg to differ). These vibrant red fruits are antioxidant packed. They taste amazing, help to protect and nourish your skin, and can help with a variety of health-related issues, including lowering blood pressure. Just be careful when eating, as they do have a tendency to stain any clothes/furniture they come into contact with! 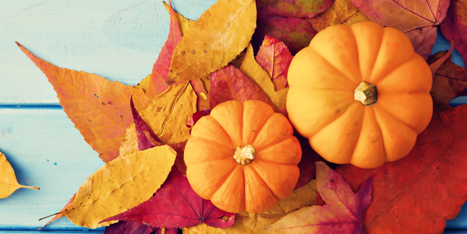 Pumpkin – Pomegranate season and pumpkin season go hand-in-hand. I am not advising you to add pumpkin pie to your list of “everyday foods”, but pumpkin itself (which can be cooked up like any other squash) is a great source of carotenoids (great for eye health), Vitamin A (great for skin and eye health), and fiber (great for weight management). Bonus points if you roast the seeds too, as they are rich in phytosterols, which help to reduce bad cholesterol! Raspberries – Readily available and inexpensive, raspberries are an amazing way to boost your beauty and your health! They are low in calories and fat, but deliver in the fiber and antioxidant department! 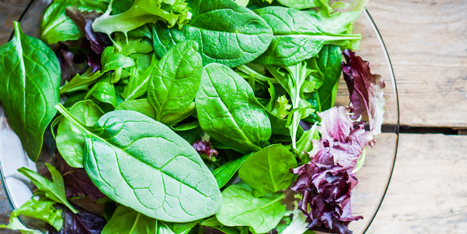 A must-have for snacking, adding to your salad, or enhancing the flavor of your water! Red Peppers – Packed with Vitamins A and C, and Folate, peppers are a great snack to have on-hand any day of the year. Salmon – Rich in Vitamin D and Omega-3’s, salmon is a great way to slow down the clock (and get a super tasty meal). I like my salmon baked with a squeeze of lemon, a sprinkle of lemon pepper, and a drizzle of olive oil. Seaweed – Delivering a totally unique (but in my opinion, delicious) flavor, seaweed is an amazing source of protein, minerals (iodine, calcium, iron, and magnesium), Vitamin C, and more! It also has anti-viral, anti-bacterial, and anti-inflammatory properties that make it a wonderful ingredient to play with! Spinach – Versatile and low in fat and cholesterol, spinach is a wonderful food for getting niacin, zinc, protein, fiber, Vitamins A, C, E, K, and so much more. It is definitely a “superfood” in my book. Plus, it tastes amazing both cooked and raw! Sweet Potatoes – If you want a quick, easy, and satiating treat, reach for a sweet potato. They are a great source of Vitamin A, fiber, and potassium, and can help to satisfy your sweet tooth. Tomatoes – I love the variety you get when it comes to tomatoes. I am personally a fan of the grape variety (add a little olive oil and vinaigrette and BOOM, you have a delicious snack). Tomatoes are rich in lycopene, and can help to reduce the risk of obesity while improving blood pressure and heart health! Walnuts – Yet another one of my favorite nuts, these tasty little bad boys are rich in healthy fats, protein, and antioxidants, making them great for snacking or adding to your salad! Wine – Call it coincidence that this list was alphabetical, yet it saved some people’s favorite for last. Yes, a good glass of wine (when enjoyed in moderation) can deliver some wonderful health benefits. Red wine, specifically, has been known to help keep the heart healthy, and contains antioxidants that may help to guard against heart disease. As with anything, be sure you consult your health professional before indulging. Especially when it comes to anything that contains caffeine or alcohol! About the author: My name is Alana, and I am a wife, mommy, daughter, and medical esthetician! More importantly, I am in my mid-30s, which, paired with all that I listed above, has driven my personal interest in learning about the foods that will help to keep me, my family, and those that I care about looking and feeling their very best. They say you are what you eat, and I want to share 45 fabulous anti-aging foods that will tackle both internal and external aging. These are the foods I feel everyone should be eating before they turn 45! And of course, I am looking forward to reading all about some of your favorites in the comments below! Enjoy, Beauty Mates! !